These four buses came as temporary vehicles in October (50) and November 2016. They are ex Veolia Brabant 5057, 5056, 5053 and 5055 and carry the Veolia Brabant red-light gey livery. They were meant to replace other vehicles that went for revision to VDL, but are still in service in September 2017. Numbers 50, 51 and 53 went to Arriva Limburg in Maastricht in December 2016 as reserve for the new electric buses. They received Arriva Limburg white-blue wrapping and the number 0050, 0051 and 0053 but were hardly used and returned to Leiden in March 2017. The Limburg wrapping was removed as were the leading 0’s from the numbers. They continued in the ZHN region. Numbers 51 and 53 were transferred temporarily to Brabant after the fire of 16 September 2017 destroyed five buses in Tilburg. 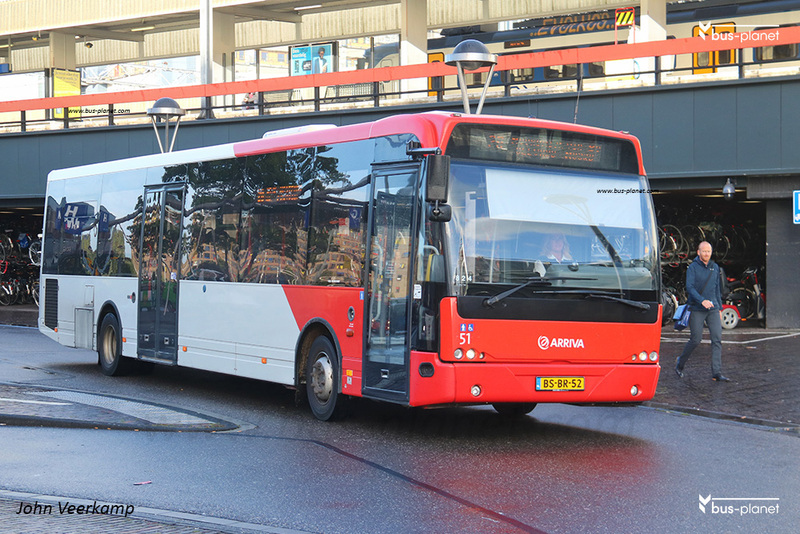 They were assigned to the Tilburg and Den Bosch regions where they blends in completely with the existing 8200-series buses. On 2 October 2017 number 52 also appeared in Brabant. Around November 2017 they were returned to ZHN, but in Decemeber 2017 went to DAV.